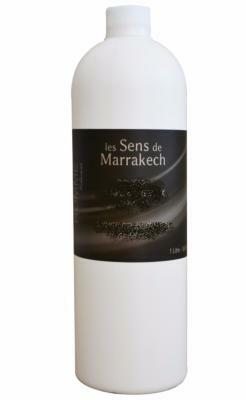 Family size which also allows to refill the bottles Ancestral Shower 250 ml. This perfumed shower gel is composed of aloe vera and subtle scents of Morocco, Ancestral Shower cleans without aggressing and brings softness and velvety to the skin for a daily toilet. The precious oils used in Ancestral Shower awaken to the sensuality of the Orient. It is at the end of winter that the almond trees awaken ... The buds appear discreetly in March letting pierce the first petals of flowers with their pinky heart hemmed soft green. * Aloe Vera: Concentrated pure extract. Skin regenerating, bactericidal, protects and rebalances the ph of the skin. * 90% of ingredients of natural origin.